Spring green. Celery. Absinthe. 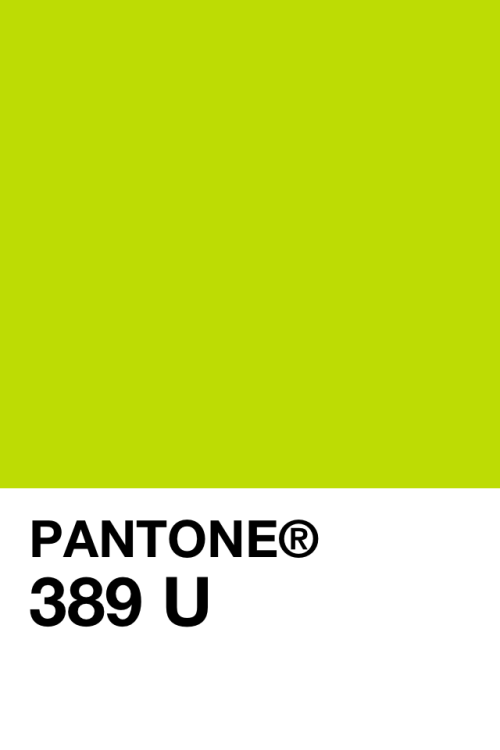 Whatever you call it, this is the color of growth and rebirth, freshness, vibrancy and new ideas. But what do you pair it with? 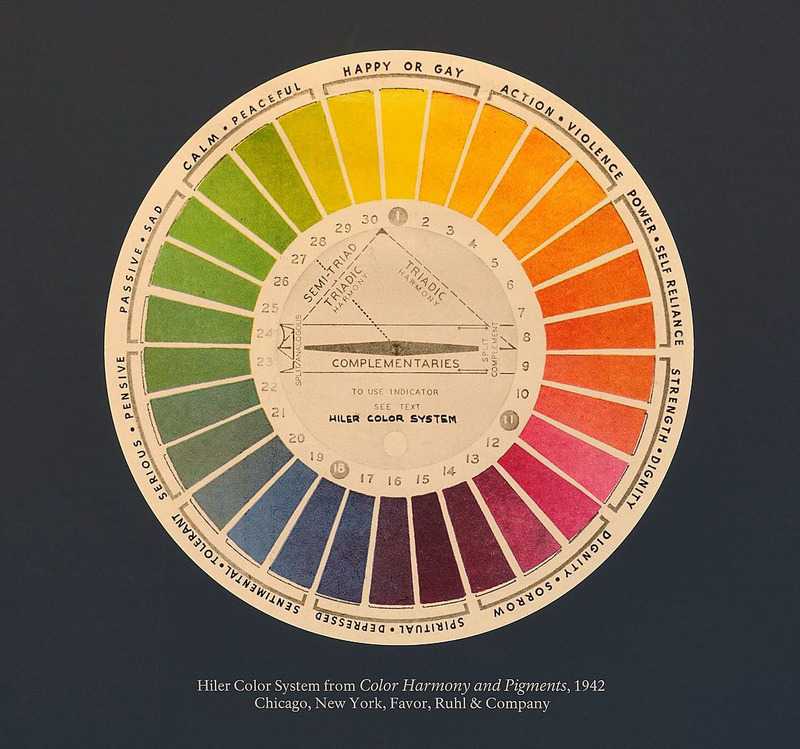 We all know the basics of the color wheel: you choose a complementary color if you need one color match, split complementary or analogous colors if you need two, triadic colors if you need three, etc. And there the traditional wisdom ends. Honestly, you can put together any colors you want! When I am color matching, I look for a color combination that “hums.” I’ll know it when I see it. So much for a succinct theory, I know! Ultraviolet: a version of the complementary color schema (which would be a red violet) but a touch more nuanced and sophisticated. Charcoal: the power of a neutral is that it tones down color and helps to stabilize it. Pop over to Instagram and tell me in the comments which combo you like best. P.P.S. This talk of absinthe got me thinking of cocktails. Here’s a delicious recipe from David Lebovitz. Over the course of the last several months, as I’ve been working on the colorwheel limited edition prints and stationery, I’ve been wondering why I’m so drawn to color right now. As in, all of it. Can’t get enough. I’m sure it comes, in part, from living through the Pacific Northwest winters. In Seattle, when everything is grey and dreary for the large majority of the year, we feel drunk with the excitement of it when spring finally starts to appear. Still, I wonder if the larger political unrest we’re seeing…the division and anxiety and uncertainty and rage…don’t all contribute to a real need for something that resembles hope. I do think color can do that. Not in exchange for actual involvement and activism in our communities, but as a means of coping, privately, or with the closest of friends. There is something soothing in the contemplation of color. It feels fun, it feels alive, and it feels uncomplicated. And don’t we all need a little of that? Do you have a theory of why we’re drawn to color? Let me know on Instagram. Women’s History Month may be over, but there’s one more female voice I want to call attention to and celebrate. 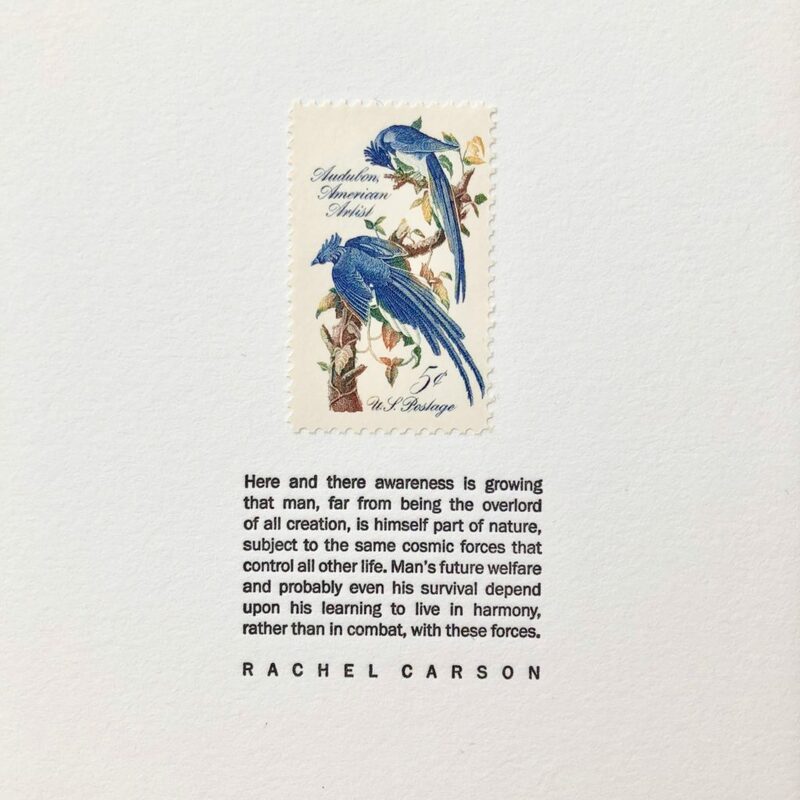 Rachel Carson, who is featured on Grapheme’s tiny letterpress calendar in April, was a marine biologist and nature writer, whose 1962 Silent Spring is sometimes credited as the catalyst for the modern environmental movement. 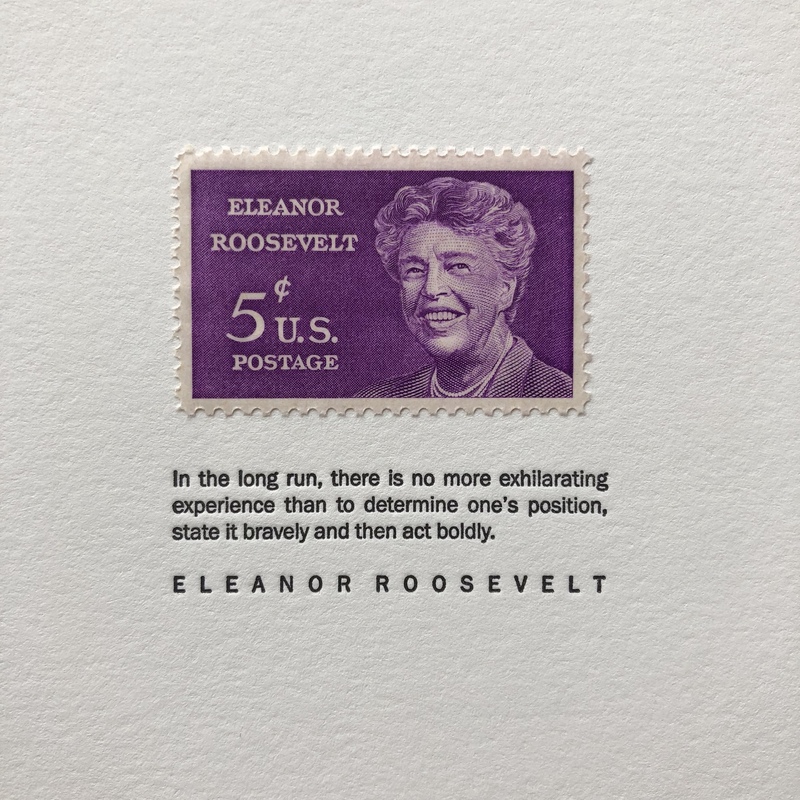 It turns out she was also an avid letter writer, which is perfect because April happens to be National Letter Writing Month. Some of my closest friendships have been forged over letters, but it’s been years since I’ve regularly and consistently written to anyone. So, this month I’ve decided to take part in the 30-day letter writing challenge set up by Egg Press (now in its 5th year running). The goal is to write a letter once a day for the entire month, and there are new snail mail kits up in the online store to help facilitate this, if you are inclined to participate. Now, knowing how challenges and I go (last month’s March Meet the Maker is a case in point), I think it’s perfectly acceptable to “gang up” letters over the weekend or on slower days in order to get all 30 in. I have a short list of recipients already, but if you’d like to be included on mine, please don’t hesitate to reach out, and I’d be happy to send you some snail mail! I will also be giving away some free stationery later this month on Instagram and Facebook. Berry’s poem about writing poetry sounds–to me at least—a little like the process of sitting down to write to an old friend, so that is what I am going to do this month, one letter at a time. February. The month the new year really begins, in my opinion. Now we get down to the hard work of living the year. February is also Black History Month, and while I didn’t pick James Baldwin because of BHM, I do have it in the back of my mind and like his emphasis on community and our responsibility to one another. 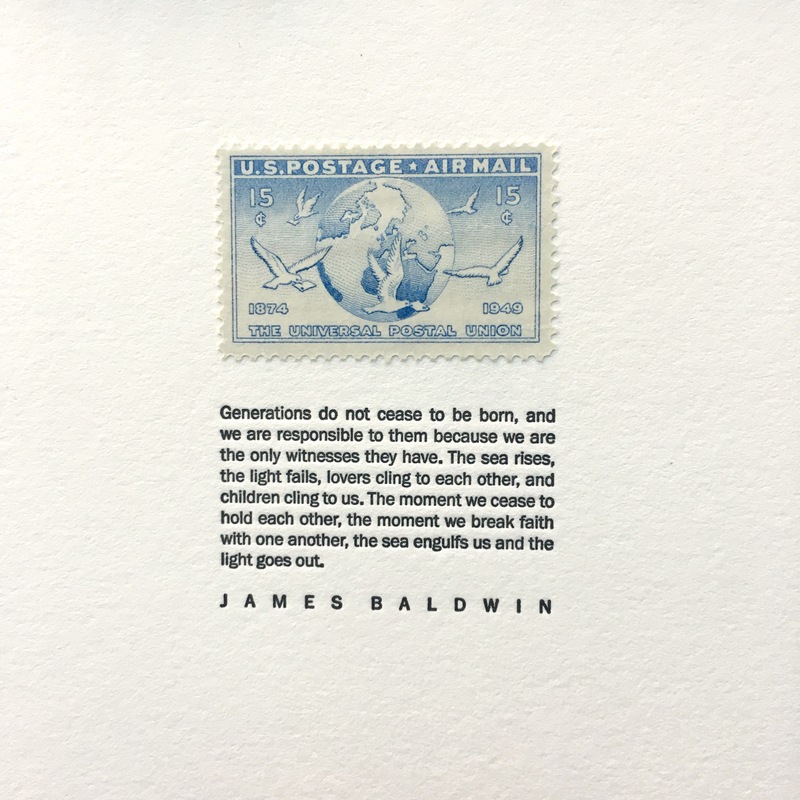 “The moment we break faith with one another…the light goes out” seems a poignant reminder as any that we are all in this together and that harm or injustice done to any of us has reverberations that travel down the line. May your month be filled with nuance, self-reflection, and the taking of time that leads to revelations. 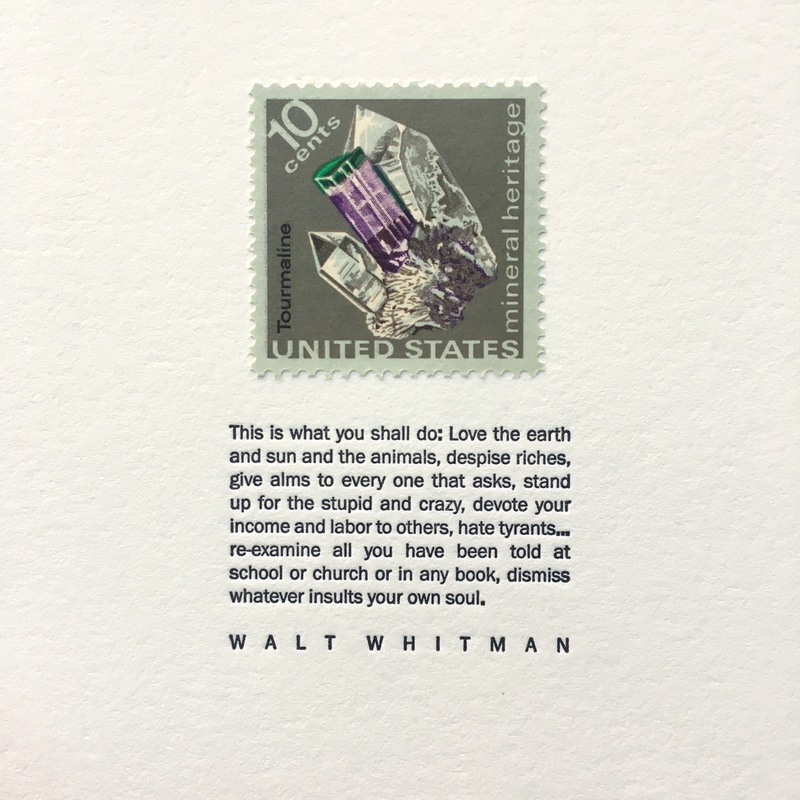 There are only two dead white men in Grapheme’s Tiny Letterpress 2018 calendar, and Walt Whitman is one of them (the other is Edward Abbey, in August). 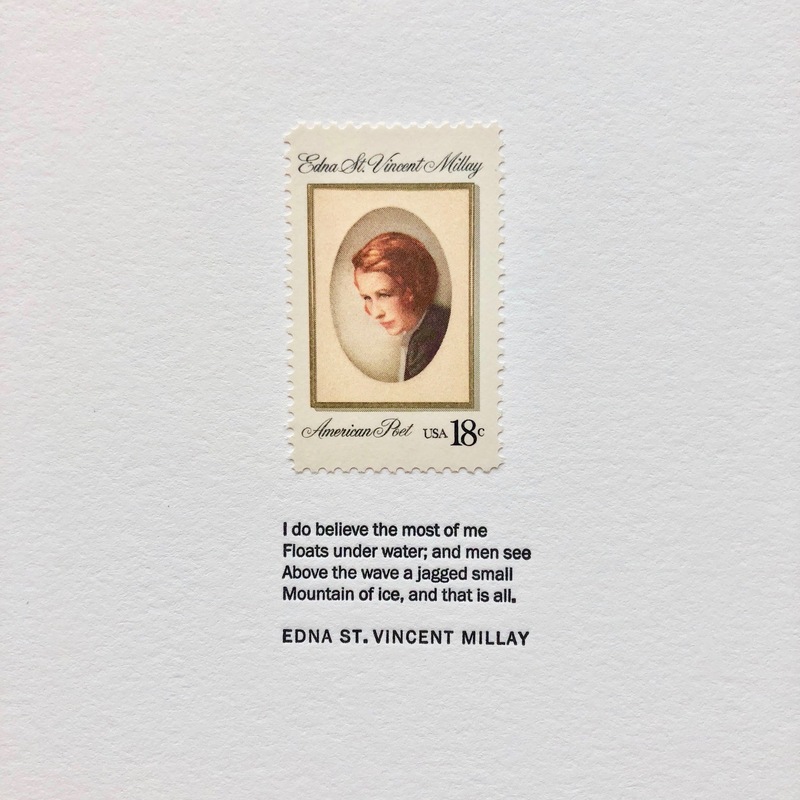 I spent a lot of time trying to find quotes and stamp combos to celebrate women and people of color, which is hard to do considering many, many of the folks featured on vintage American postage are dead white men. Still, Whitman is among my favorites for his celebration of life and the natural world, both of which I try to do in the calendar as a whole. I also love Whitman because he talks about the connection between the body and soul at a time when the soul was thought to be a separate, uncorrupted entity–not held back by the “worldy,” “fallen” flesh (think Cartesian duality). If you are interested in reading more about Whitman’s theory of an intertwined body and soul, check out Jonah Lehrer’s Proust Was a Neuroscientist. And, for another treatment of the soul, check out Mary Oliver’s “Bone,” which may be my favorite of hers. Whitman’s joy in Leaves of Grass felt like a positive way to start off the year, and his admonishments in the Preface (which is where January’s quote comes from) felt strangely relevant to our current political moment. The stamp drove home the idea with its literal celebration of the earth in minerals and petrified wood–plus it’s one of my all time favorite stamp series. May we remember that the natural world “is not a joke, nor any part of it a sham,” as we head into this new year.